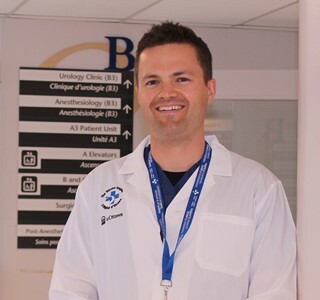 Dr. Daniel McIsaac and his team were awarded $US 150,000 by the International Anesthesia Research Society to test whether home-based exercise training before cancer surgery can improve the outcomes of frail elderly patients. This population is at greater risk of complications, institutionalization and death after surgery. The theory is that the fitter a patient is before surgery, the faster they will recover. However, few studies have tested the impacts of pre-surgery exercise programs on elderly patients. Dr. McIsaac and his team will recruit 200 frail elderly patients, who will receive either standard care or a home exercise program before undergoing cancer surgery. After the surgery, researchers will record patients’ self-reported health and their ability to perform daily activities.